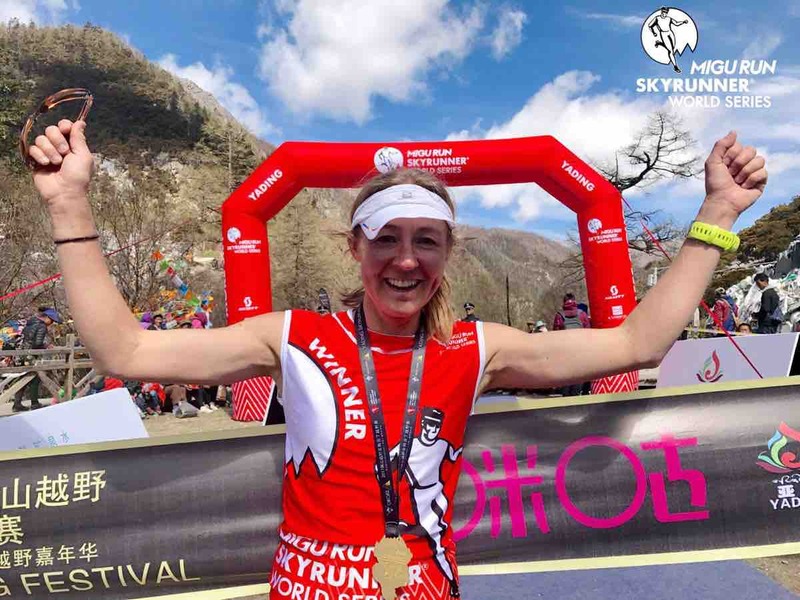 The 2017 Skyrunner World Series got underway early last week in China at the Yading Skyrun’s events. 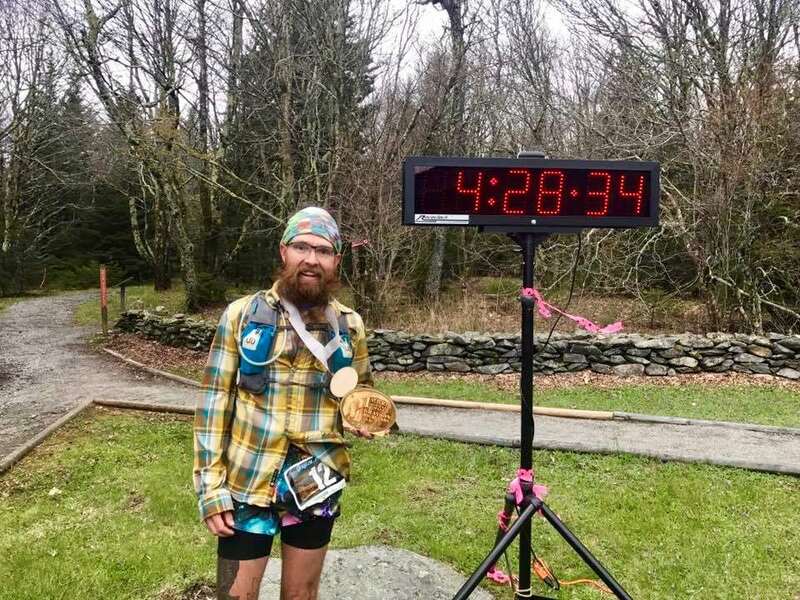 That race is among a diverse group of highlights in this week’s column, which also includes a short preview of next week’s Quad Rock 50 Mile and Transvulcania Ultramarathon races. Nicknamed ‘Shangri-La,’ the Yading Nature Reserve is known as one of China’s best-preserved nature areas, “the last pure land on earth.” Taking place early in the week, the second-annual Yading Skyrun was the first event in the 2017 Skyrunner World Series. The two-day event included a longer-than-normal Vertical K, that reached an elevation of 5,000 meters, and 29k and 46k races. The 29k event was the only event that was officially part of the Skyrunner World Series, falling into the Sky Classic category. In the opening Vertical K, which was 7k in length, Ida Nilsson (Sweden) was the women’s winner. China’s Duo Ji, who we don’t know much about prior to his result here, won the men’s race. Notable to U.S. readers, Andy Wacker (U.S.) was third. Megan Kimmel (U.S.) was a convincing winner over Ragna Debats (Netherlands) in the 29k, 3:33 to 4:06, and Bhim Gurung (Nepal) overtook Wacker for the men’s win, 3:06 to 3:08. Nilsson doubled back in the 46k race, winning in 6:05. Qi Min (China), who has stellar racing results all over his home continent on both roads and trails, won the men’s race in 5:19, and François D’Haene (France) was second in 5:28. 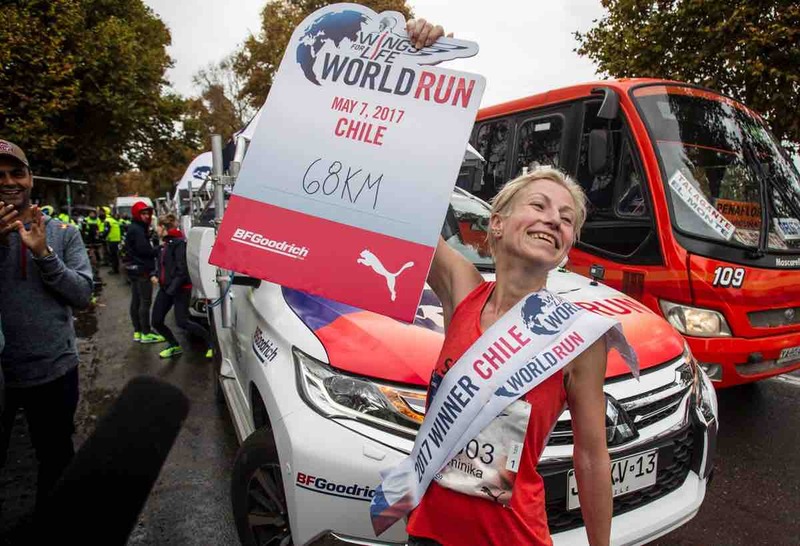 The uniquely formatted Wings for Life World Run took place in some 111 locations around the world, where runners in each needed to stay in front of an ever-faster chase vehicle to avoid elimination. According to the race website, 155,288 runners were thought to have started the event worldwide. Dominika Stelmach (Poland) was the global women’s winner. Racing in Santiago, Chile, she totaled 68k, almost 6k more than her closest challenger. Other familiar names in the global results include Olesya Nurgalieva (Russia) and Elena Nurgalieva (Russia), fourth and fifth with 60k and 57k, and Jo Meek (U.K.) and Jo Zakrzewski (U.K.), 12th and 13th with 54k and 52k. Global men’s winner Aron Anderson (Sweden) totaled 92k while racing in Dubai, finishing almost 4k ahead of his closest contender. Other familiar names in the men’s tally include Giorgio Calcaterra (Italy), fourth with 87k, and Elov Olsson (Sweden), seventh with 75k. Kathleen Cusick made it a three-peat at the Massanutten Mountain Trails 100 Mile. She finished in 24:22. It was almost an hour back of her 2016 winning time, though slightly better than her 2015 finish. It was Cusick’s ninth MMT finish, and she is the first to win the race in three consecutive years. Margaret Campbell and Amy Macintire were second and third in 26:48 and 27:15, respectively. Bradley Revenis conquered the course and the men’s field to win his MMT debut. Revenis ran 18:50, beating out second- and third-place Paul Jacobs and Jason Lantz. Jacobs ran 19:36 and Lantz, who was second in 2016, ran 20:19. Revenis also won this year’s other big Virginia Happy Trails Running Club race, the Bull Run Run 50 mile. The Miwok 100k took place for the 22nd time in the Marin Headlands of California. Molly Schmelzle won the women’s race in 10:37. In the men’s race, Franz Van Der Groen won in 8:45 and by less than a minute over second-place Chikara Omine. Van Der Groen’s run represents a new course record (on the 2012-and-later course). Results. On the Stanford University track at the Payton Jordan Invitational, all-terrain Joe Gray went 28:44 for 10,000 meters, placing 18th. Full results. The longtime Strolling Jim 40 Mile is a road race through scenic Tennessee. Lauren Mitchell took the women’s win in 5:47, with Regina Sooey following in second and 10 minutes back. Jason Parks was this year’s race winner in 4:18, overtaking David Riddle after a wrong turn near halfway. Riddle finished in 4:35. Full results. Colorado’s multi-loop Greenland Trail Race 50k saw Lillie Romeiser edge former-Olympic-marathoner-turned-ultrarunner Colleen De Reuck by some 12 seconds for the women’s win, both finishing in 3:59. Full results. Rum Bum Tours, the same people behind races like the Georgia Death Race, held the third-annual Grayson Highlands 50k in Virginia. Kristen Niedrach and Tereza Novotna look to have tied in the women’s race, both running 5:26. Men’s winner Steve Barber was alone in 4:27, over 30 minutes better than second. Full results. In upstate New York, Karen Benway and Dylan Armajani won the fourth-year Rock the Ridge 50 Mile race in 7:59 and 7:15, respectively. Full results. A little further back, the super-long Sri Chinmoy races started April 17 and concluded six or 10 days later. The field included 34 runners in each of the six- and 10-day races. Nataliya Hlushchuk (Ukraine) and Budjargal Byambaa (Mongolia) totaled 578 and 739 miles to win the 10-day race. Full commentary. The EMU 6-day Race in Hungary is the unofficial world championships for the fixed-time event. This year’s race is in process at the time of publishing, presently led by Silke Gielen (Germany) and Johan Steene (Sweden). Live tracking. Irish adventurer Eoin Keith, who will race at the IAU 24-Hour World Championships in July, toured his country with a new Head to Head FKT on roads stretching the north-south length of Ireland. The roughly 550k route was covered in three days, three hours, and 47 minutes. The previous overall FKT was held by Mimi Anderson at three days, 15 hours, and 36 minutes. More information. 2017 USATF 50k Road National Champion Tyler Jermann ran 2:16 to finish fourth at the Pittsburgh Marathon. Full results. This year’s two-lap Quad Rock 50 Mile race is all about the ladies. 2016 Western States 100 winner Kaci Lickteig will face off with 2016 Leadville 100 Mile winner Clare Gallagher. Last time out last month, Lickteig finished in a second-place tie at the 2017 Lake Sonoma 50 Mile. In addition to Lickteig and Gallagher, 2017 Moab Red Hot 50k winner Marianne Hogan is in the field, and so too are Anna Mae Flynn and past winner Kerrie Bruxvoort. While the course is subject to a slight reroute this year, look for Becky Wheeler‘s 2014 event record to come under fire. The weekend-long Transvulcania festival includes four major races stretching from the Vertical K to the 74k ultramarathon. It is the 74k ultramarathon, which is a part of this year’s Skyrunner World Series in the Sky Ultra division, that iRunFar will cover live. Defending Transvulcania Ultramarathon champion Ida Nilsson (Sweden) is back. In the thick of things for the women’s podium should also be Anne Lise Rousset (France), Ragna Debats (Netherlands), Andrea Huser (Switzerland), Hillary Allen (USA), Mimmi Kotka (Sweden), and Cassie Scallon (USA). Caroline Chaverot (France) was planning to race, but will not start as a result of recovering from illness. Read our women’s preview for all the details. The men’s ultramarathon race should be highlighted by Nico Martin (France), Pau Capell (Spain), Hayden Hawks (USA), Tom Owens (U.K.), Ludovic Pommeret (France), and Xavier Thévenard (France). Men’s defending champion Luis Alberto Hernando (Spain) will not compete in the ultramarathon, in saving himself for next month’s IAU Trail World Championships. He will be on the island of La Palma, though, to compete in the marathon-distance race. Check out our in-depth men’s preview. Both the U.S. and the U.K. have named their teams to compete at this year’s World Mountain Running Association Long Distance Championships, to be held August 6 in Italy. The U.S. team includes ladies Addie Bracy, Kasie Enman, Kristi Knecht, Dani Moreno, and Anita Ortiz, and men Cole Watson, Matt Daniels, Mario Mendoza, Tayte Pollman, and Andy Wacker. Full release. The U.K. group includes women Annie Conway, Nichola Jackson, Charlotte Morgan, and Victoria Wilkinson, and men Karl Gray, Chris Holdsworth, Tom Owens, Murray Strain, and Jack Wood. Full release. At first mocked as a stunt, Nike’s Breaking2 marathon project, which took place over the weekend, seems to have been largely celebrated. Technology and other aid aside, Eliud Kipchoge‘s 2:00:25 performance won everyone over. 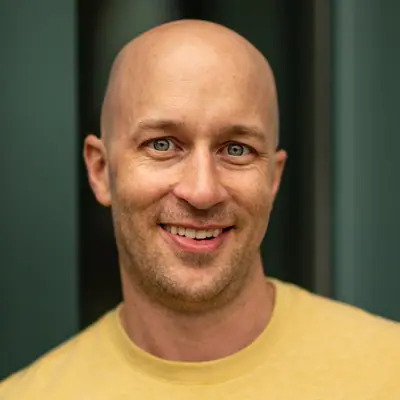 Afterward, Galen Burrell commented on social media that he would love to see Nike throw their weight before a sub-two-hour Pikes Peak Ascent or a sub-3:15 Pike Peak Marathon, both times that would break Matt Carpenter‘s longstanding course records. What other records would be worthy of an all-in project? We again to look to our readers to share other race results from the weekend. Leave a comment! Aron Andersson, winner of WFLWR, competed in his everyday wheelchair, and won against his running competitors. 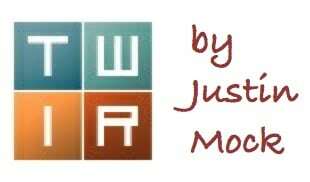 Great written Justin! The Yading Skyrun, Duo Ji is a native Tibetan who was top-5 in last year. The winner of 46k Min Qi was known as a 2:25 marathon runner. UROC 100k is next weekend too, in Virginia. Looks to be pretty competitive this year! Fair and equal coverage. I hope this is noticed. Bravo. broken, I hope it is done by a mountain man or woman! Social media told me Tim Freriks was racing Transvulcania, but I don’t see him on the list. I was inspired by all the racers set to stun at Miwok 100k this weekend. Molly Schmelzle ran a very impressive race, but to say she was unchallenged downplays that Christi Richards also ran a great time for the post-2012 course (10:53:47, ahead of Bree Lambert’s 2016 runner-up time). Also, shoutout to the man and woman who rounded out the podium, Chris Streeter (9:06:03) and Megan Arauzo (11:28:25). Run Long and Prosper! The people at Nike are the masters of doping. Anybody watch the LA Marathon last year? It was almost comical. Yes Tim, thank you! Please stay away from MC’s records, those are legit. No comments on Karl Egloff breaking the FTK at Mount Elbrus? It is worthy to note that Kaci Lickteig ran her 2nd-fastest road marathon time at the Lincoln Marathon on Sunday, winning in 2:45:32! I don’t think “corporate America” is going to be breaking any running records, but individuals might if there was further research. Nike spent $2mil+ for Breaking2; invest just 2% of that into physiological research for “Breaking2PP”, and I’d like to see the training and acclimatization suggestions. Plus, it would be really fun to see a highly publicized attempt, because they’d discover the hard way just how good Matt’s record is. Matt’s record willl not go down any year soon, or decade for that matter, it’s not just the 2:01 ascent time, the 1:15 descent is a mind boggler too.